1959 Singer Gazelle. 1962 Land Rover. 1967 Austin 1100. 1967 Rover TC. 1971 Rover TC. 1967 Land Rover. 1961 Rover P4-100 1948 Rover p3 Sports Saloon. I have only included a sprinkling of the cars I have owned over the last 52 years. To do otherwise would overload the site, and it would quickly become of interest only to other car people. 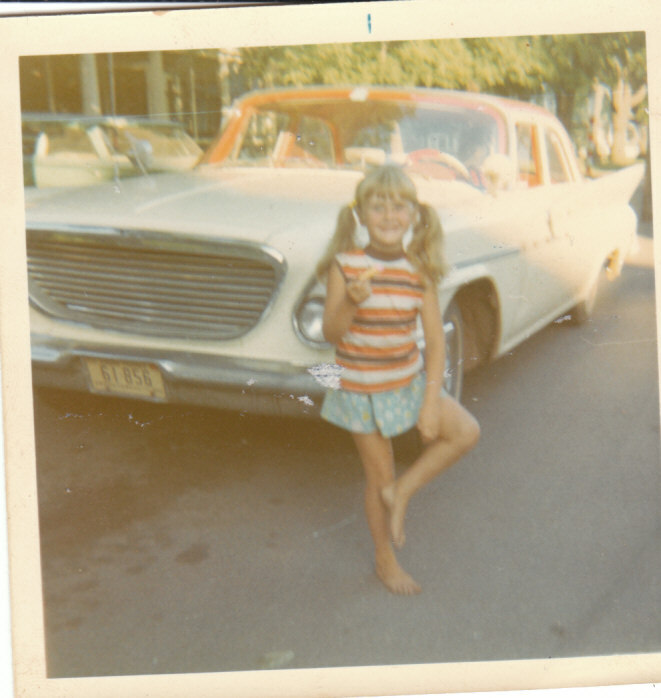 Cars have been my lifelong interest and I have owned so many, I no longer remember them all. Probably the most interesting vehicle was my 1935 BSA Scout. This was a very unusual car in its day, and not to be confused with the more popular three wheeler cars produced by BSA. This was an open, four seat sports tourer. It looked somewhat similar to MG’s from the same period, however, what made it so different was the fact it was front wheel drive, a common feature today, but in 1935, very rare. The drive train set up was in reverse of other cars. For example, directly ahead of the driver was the engine, then the gear box (trans): next, the differential (rear end) and front axle. Each wheel rotated and turned through a huge ball joint, looking similar to Land Rovers set up. There was a single brake drum at the front axle centre. The very long gear shift lever disappeared through the floor between the brake and clutch pedals. The engine was a four cylinder side valve and not very powerful, maybe 10hp. Today, I prefer to stick with more conventional designs, and over the years, Rovers have become my favourite make. I have just sold a 1967 Rover P5 Mk3. It was later replaced by a very nice TC 2000 Series Two. This car was originally purchased by a Canadian soldier in Germany, and brought back to Ottawa. A second owner purchased it in 1975 and kept it until I bought it in 2006. I sold the TC in May 2010. Later I found I couldn’t live without an old Rover in the garage. After a long hunt and almost conceding to buying a Volvo I finally found the car I was looking for. My latest, and I assured Linda, my last Rover, is a 1961 P4-100 you can see the photo above. However through health issues I sold the Rover in May 2013 and six months later bought a 2009 Mini Cooper convertible and once more assured Linda this would be my last!!!!! 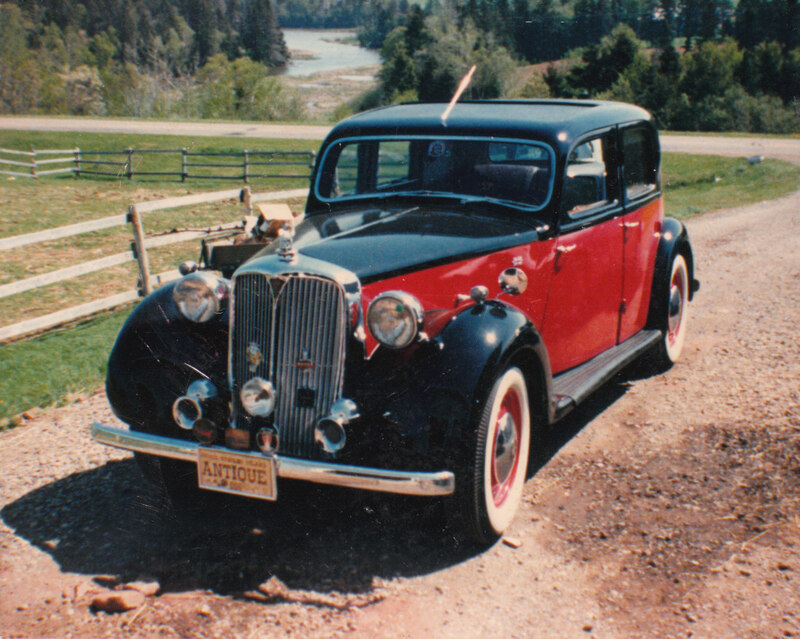 Around 1961 I was driving a Baby Austin 7hp of 1934 vintage that was capable of perhaps 30mph. One weekend, heading to Bristol to visit my brother, I was stuck behind a double decker bus doing 29mph. On a long straight stretch of road, I floored the gas pedal in an attempt to overtake. This was a lengthy operation. I slowly pulled up alongside the bus then gradually crept ahead. Neck ‘n’ neck with the front wheel of the bus, my radiator cap blew off, covering the windscreen in a coat of oily gooey water. Austin Sevens had a single vacuum operated wiper that in my moment of panic left me blind and on the wrong side of the road. Eventually the bus moved ahead and I managed to pull over and stop. I then walked back to find my rad cap. I did finally get to Bristol and back to Portsmouth, but that was my one and only attempt to outrun a bus in an Austin Seven. Hi, again, My favorite is you new skooter. when did you get it? Thanks Kaie glad you liked my different modes of transport!! Love your cars! My ex-husband (but great friend) and I have enjoyed ‘classic cars’ for years. Our weakness is 1950s Caddies and old BelAirs.